The new Thurles Swimming Pool/Leisure Centre which is located in the Cathedral Street carpark adjoining The Source was completed in 2007. This state of the art facility includes a 25 metre swimming pool, gymnasium, aerobics studio, sauna, steam room, jacuzzi and coffee dock. The complex is of major benefit to the public, local groups, schools and people with disabilities. The total cost of the project was in the region of €6.5m and was funded by way of a grant of €3.8m from the Department of Arts, Sport and Tourism with the balance of €2.7m being provided by Thurles Town Council and North Tipperary County Council. There are approximately 26 acres of open space within the town. This includes the parks at Loughtagalla, Clongour, Stradavoher , river side walk and the open spaces in the various housing estates. Grass is cut on a weekly basis during the growing season. There is an annual programme for the pruning and replacement of trees around the town and an additional 28 trees were planted in the last two years. 108 hanging baskets are erected around the town for the Spring/Summer season – these are watered three times per week and are also fed monthly to extend their life span. 48 hanging baskets are erected in the town centre in the winter. 20 flower beds around the town are planted in the Spring and Winter. The River Walk extends from Thomond Road to Slievenamon Road with access at Thomond Road, Kavanagh Place, The Shopping Centre and Slievenamon Road. An Ecologist prepared the Thurles River Walk Habitat Study in 2004 and provided advice on the enhancement of the walk in an ecological friendly manner. The principal aims of the project were to enhance the River Walk as an amenity, to maintain and enhance its ecological value and to educate the public to respect and enjoy the ecological habitats in this area. The removal of the barriers at the entrance to the Walk to make it wheelchair accessible. Widening and resurfacing of the path. Extensive landscaping with native species of plants and trees to further enhance the area. Removal of old seating to discourage anti social behaviour. Thurles were awarded 253 marks in the Tidy Towns Competition 2007 which represented an increase of 20 marks on 2006. The Tidy Towns Adjudicator commented positively on the cleanliness and tidiness of the overall town and the amount of work that is ongoing. The report highlighted the many examples of beautiful landscaping and delightful wildlife and natural amenities in Thurles. The Council is empowered under the Arts Acts 1973 to provide assistance with money or in kind or by the provision of services or facilities to any person organising an exhibition or other event which would stimulate public interest in the arts, promote the knowledge, appreciation and practice of the arts or assist in improving the standard of the arts. The Source Regional Arts Centre opened on 2nd. 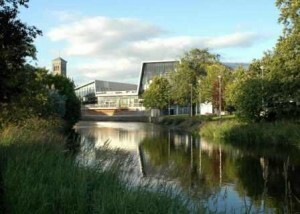 October 2006 and is Ireland’s newest Arts Centre. It consists of a 250 seat auditorium with fully flexible seating and a dedicated gallery space. An all year round programme of events include film, theatre, dance, ballet, opera, music, family events and visual art exhibitions. Thurles Town Council makes an annual contribution towards the operational costs of the facility. •	Sporting and other organisations in the town to assist them in the provision and maintenance of facilities for their members. •	Residents Associations to assist them in the maintenance and improvement of open spaces, flower beds, trees shrubs etc. within their estate. The Community, Sport & Cultural Grants Scheme established by the North Tipperary Local Authorities provides financial assistance to community based clubs and voluntary organisations for the development of sporting, recreational, environmental and cultural facilities in their areas. The scheme is funded through the Community Development Levy. The scheme provides Technical and Capital Assistance. The Technical Assistance Fund permits community based clubs or voluntary organisations to apply for financial assistance towards the cost of preparing a development plan or feasibility study. Capital Assistance is available to new projects or refurbishment of existing facilities. Priority will be given to projects, which combat social exclusion or marginalisation. The Community Sports and Cultural Grants Scheme is administered on behalf of Thurles Town Council by the Community & Enterprise Department of North Tipperary County Council. Perhaps you could give me the 2011 contact person for Thurles tidy towns committee.